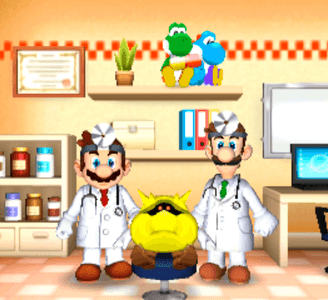 Dr. Mario: Miracle Cure, released in Japan as Dr. Mario Gyakuten! Tokkōyaku & Saikin Bokumetsu (Dr. MARIO ギャクテン！特効薬 & 細菌撲滅 Dr. Mario Reverse! Wonder Drug and Bacteria Eradication), is a puzzle video game for the Nintendo 3DS. Dr. Mario: Miracle Cure works near flawlessly in Citra. The graphics and audio are considered perfect, and the game performs well even on lower-end hardware. However local and online modes don”t work in Citra.